Accelerated bridge erection techniques used to transversely slide new bridge in place during a two day closure. 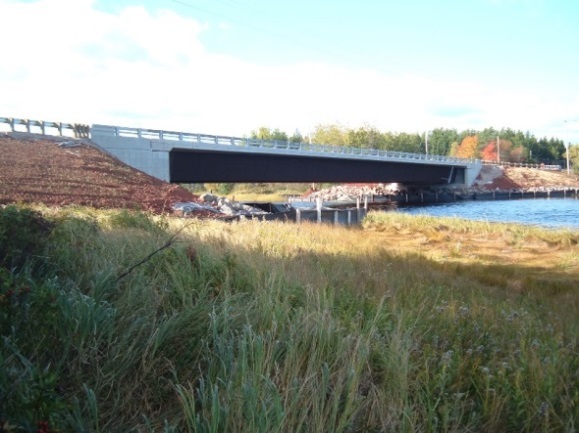 While working for another consultant, the Principals of Harbourside Engineering Consultants designed a replacement bridge over the Midgell River. The bridge is located on the busiest highway in the province. The bridge is a 60 meter single span, twin trapezoidal box girder structure supported on semi-integral abutments founded on end bearing piles. The project was unique in that the new bridge was built immediately adjacent to the existing bridge and supported on temporary abutments. 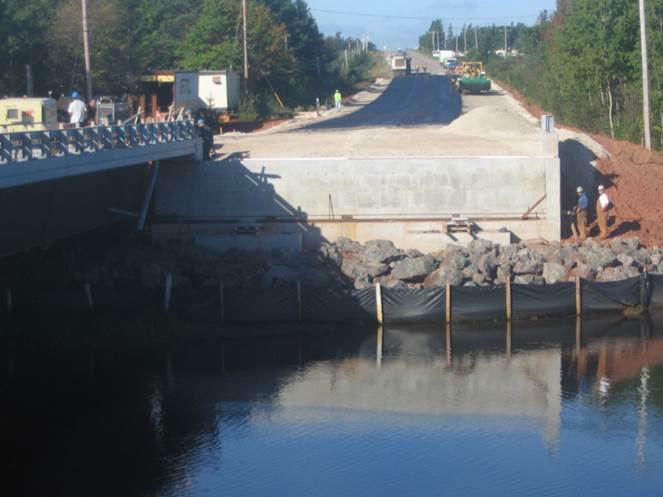 Traffic was then diverted to the new structure while the existing structure was demolished and new abutments installed. 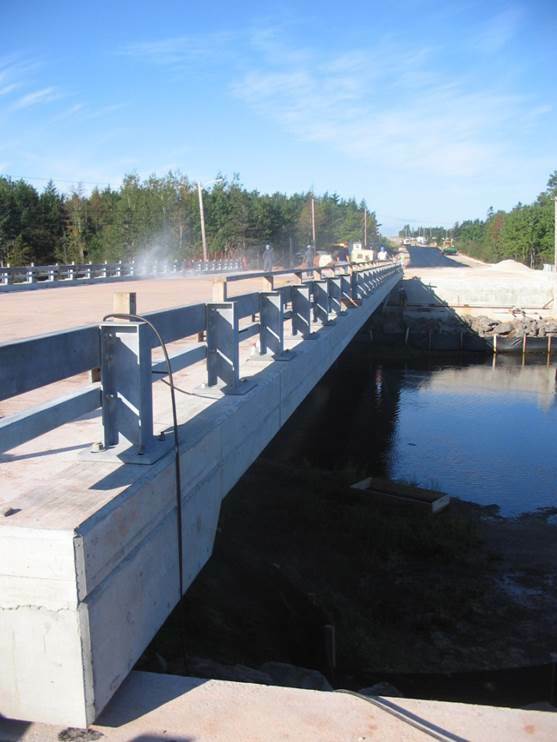 A full closure of the highway was required for only 2 days to allow the new bridge to be horizontally launched onto the permanent abutments and paving of the deck to be completed. This method of construction allowed a very busy highway to remain open, avoided a long, unsuitable off-site detour and eliminated the requirement for a temporary bridge. Project deliverables included tender and construction documents for the new bridge as well as for the temporary supports, construction phasing and horizontal launch details.